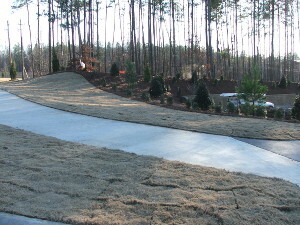 Sprigging services are offered on large properties and sport fields. Our equipment has the capacity to complete 4 acres in one day. Sprigging can be a cost saving option, and yet, it still provides sod-like results in approximately 5-8 weeks, subject to irrigation and site conditions.